Stabiae was an ancient Roman town, located close to the modern town of Castellammare di Stabia approximately 4.5 km southwest of Pompeii. It was positioned on a 50 m high headland overlooking the Gulf of Naples. Being only sixteen kilometers (ten miles) from the eruption of Mount Vesuvius in 79 AD, this seaside resort was largely destroyed by two meters of tephra ash. 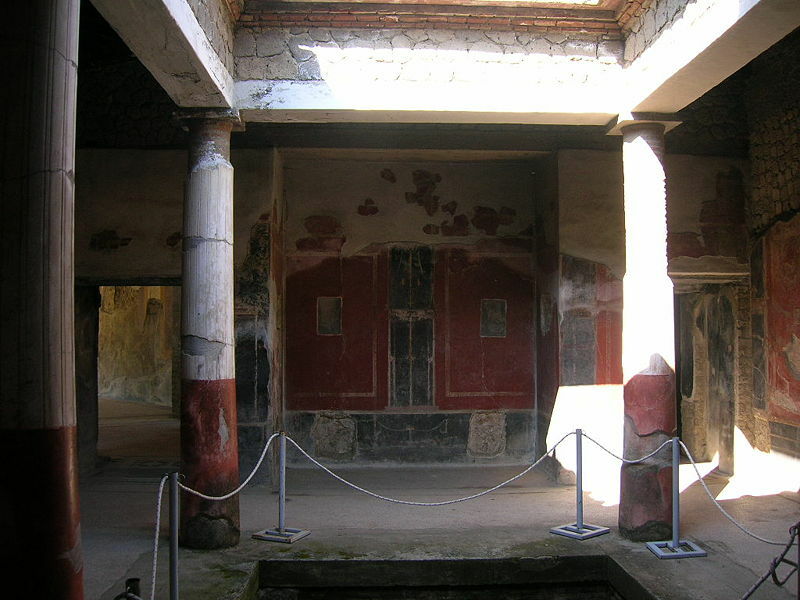 Originally a small port, by the 6th century BC Stabiae had already been overshadowed by the much larger port at Pompeii. The town was destroyed by Lucius Cornelius Sulla on 30 April 89 BC during the Social War, a revolt by many of Rome's allies in the area. The Roman author and admiral Pliny the Elder recorded that the town was rebuilt and became a popular resort for wealthy Romans. He reported that there were several miles of luxury villas built along the edge of the headland, all enjoying panoramic views out over the bay. According to the account written by his nephew, Pliny the Elder was at the other side of the bay in Misenum when the eruption started. He traveled by galley ship across the bay, partly to observe the eruption more closely, and partly to rescue people from the coast near the volcano. 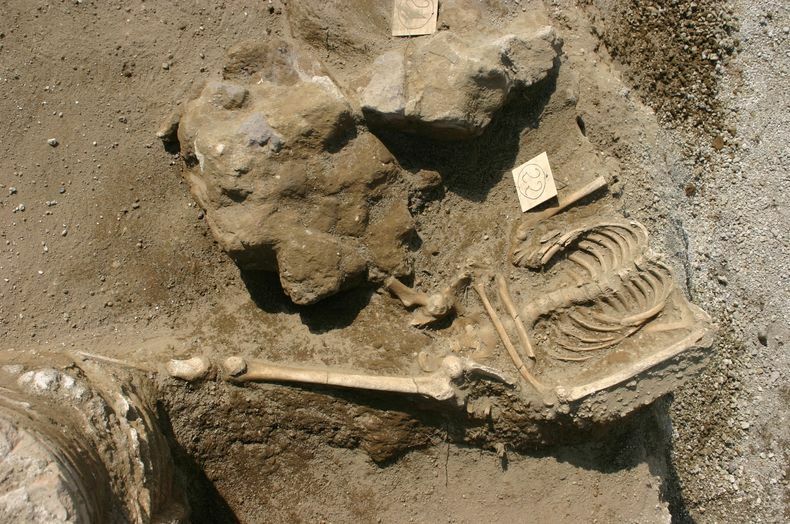 Pliny died at Stabiae the following day, probably during the arrival of the sixth and largest pyroclastic surge of the eruption caused by the collapse of the eruption plume. The very dilute outer edge of this surge was the only one to reach Stabiae and left two centimeters of ash on top of the tephra deposits. The archaeological remains of Stabiae were originally discovered in 1749 by Cavaliere Rocco de Alcubierre, an engineer working for the Bourbon king. These ruins were partially excavated by Alcubierre with help from Karl Weber between 1749–1782. 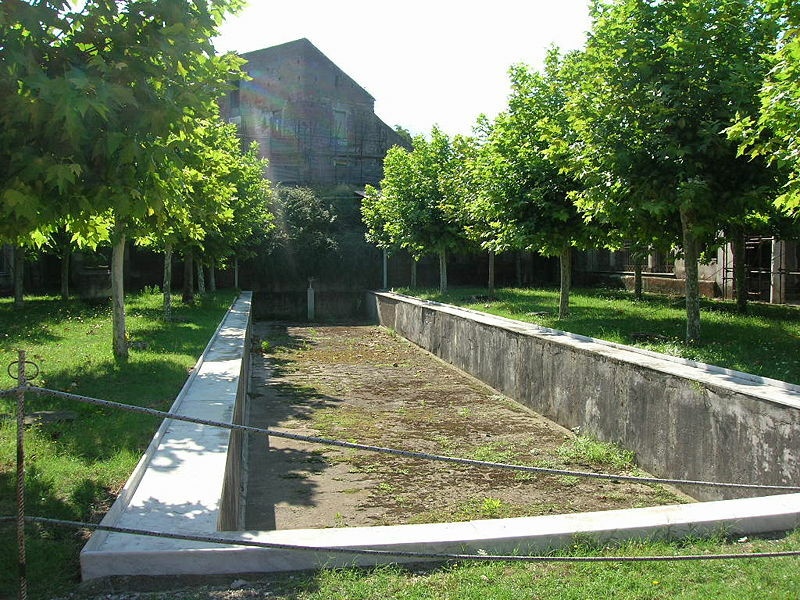 The ruins that had been excavated, however, were reburied and their location was forgotten until 1950, when a high school principal rediscovered them. The site was declared an archaeological protected area in 1957, and by 1962 many of the ruins had been again uncovered. The remains of both an Oscan settlement (oppidum) and the later Roman town were discovered. 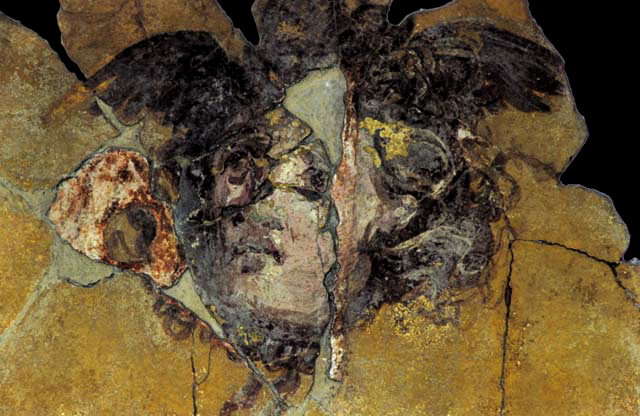 The most famous of the findings at Stabiae are the villas that come from the time between the destruction of Stabiae by Sulla in 89 BC and the eruption of Mount Vesuvius in 79 AD. As described above, Stabiae became a resort town during this time and was particularly favored for its view of the Bay of Naples and the surrounding mountains. 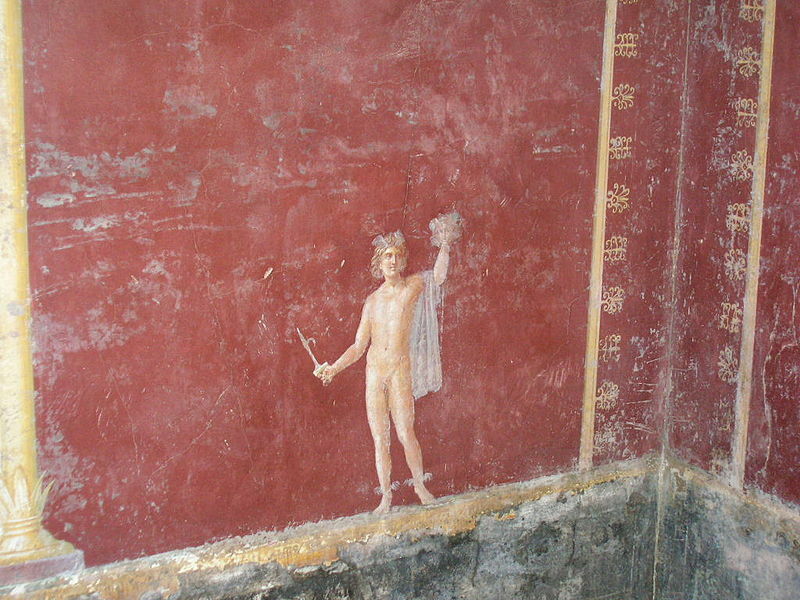 Stabiae was also well known for the quality of its spring water, which was believed to have medicinal properties. The ideal placement and qualities of this location caused many wealthy Romans to build luxurious villas on the ridge overlooking the bay. These villas, which are described below, provide us with some of the most stunning architectural and artistic remains of Roman villas. 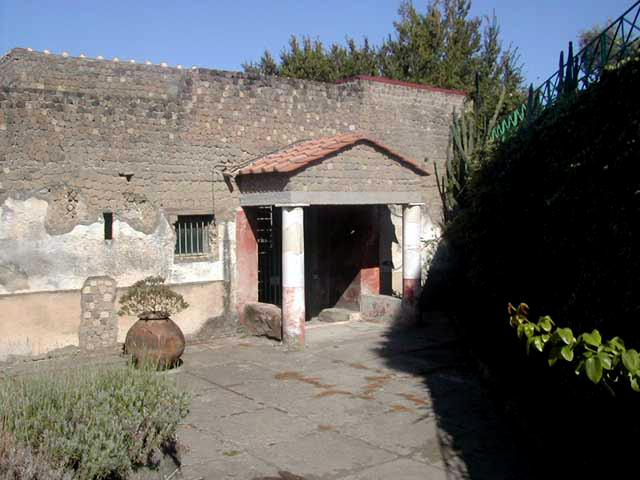 2004 saw an Italian-American collaboration between the superintendence of Archaeology of Pompeii, the region of Campania and the University of Maryland to form the non-profit Archaeological entity, the Restoring Ancient Stabiae Foundation (RAS). It is the RAS Foundation's prime goal to excavate, restore and build an archaeological park at the ancient site of Stabiae, a complex of seven or eight Roman villas according to recent geophysical surveys conducted by the University of Birmingham. Before the age of the villas, however, an Oscan settlement existed in the region of Stabiae. In 1957 three hundred tombs dating from the 7th to the 3rd centuries BC were found in a necropolis associated with this town. Many pieces of pottery were found in these tombs and provide us with archaeological evidence that supports the dating of the Oscan inhabitants. It appears that the Samnites later took over the Oscan town in the 5th century.